It's possible to run java-based phone application such as Opera Mini, Mig33, Nimbuzz, etc on Ubuntu. Well, by using MicroEmulator, it can be done easily! Today, I'd like to show you step-by-step on how to do it. Let's get started! In this tutorial, I'll show you how to run Opera Mini on Ubuntu using MicroEmulator. Of course, you can run another application as you wish. Because MicroEmulator is Java-based application, you have to install Java Runtime Environment (JRE). 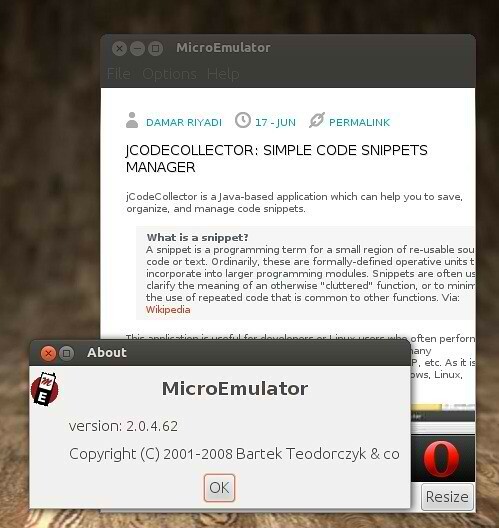 Then download MicroEmulator here. You might also need to download a copy of Opera Mini (or application you choose), you can download Opera Mini here, please download both *.jad and *.jar file and put on the same folder. Once everything is prepared, extract MicroEmulator and give execution permission to "microemulator.jar". 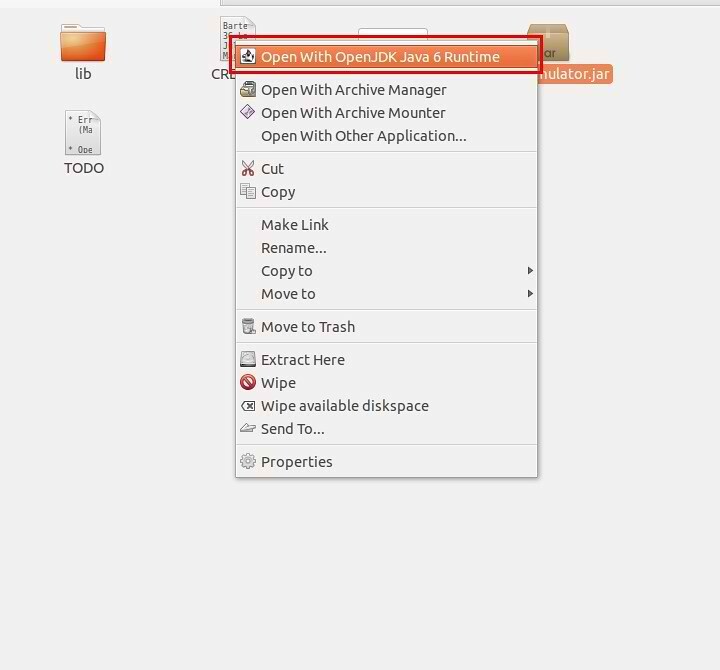 Then right click on "microemulator.jar" and choose "Open With OpenJDK 6 Runtime". No Comment to " Install Java in Ubuntu or Mint and Run Java Based Applications "